Irving Sidney Jordan (April 1, 1922–August 8, 2006) was an American jazz pianist. 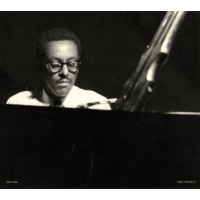 An imaginative and gifted pianist, he was also a regular member of Charlie Parker's so-called "classic quintet" (1947-48), featuring Miles Davis. For example he participated in the Parker Dial session that produced "Dewey Square", "Bongo Bop", "Bird of Paradise", and the ballad "Embraceable You". A number of these performances are featured on Charlie Parker on Dial. He had a long solo career from the mid-1950s onwards, after periods accompanying Sonny Stitt and Stan Getz, he performed and recorded in the trio format. His most notable composition, "Jordu", became a jazz standard when trumpeter Clifford Brown adopted it into his repertoire.From 1978 he was resident in Copenhagen, Denmark, having begun recording an extensive sequence of albums for the Steeplechase label in 1973. Some of his best live recordings are available on the Steeplechase or the Japanese Marshmallow label.